A search for American Security Health Insurance Company finds that the company, whose correct name is American Security Insurance Company, is now a party of Assurant Specialty Property. 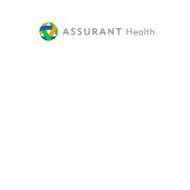 Assurant’s health insurance division is aptly named Assurant Health. It offers many different types of health insurance coverage. If you are looking for health insurance quotes, you have come to the right website. Just type in your zip code! Assurant Health offers major medical, limited benefit, temporary, and dental insurance, for both individuals and businesses. The company also has other health insurance options, such as critical illness, accident, and, international health insurance. Assurant Health’s insurance products are underwritten and issued by John Alden Life Insurance Company, Union Security Life Insurance Company, and Time Insurance Company. If you would like to become an Assurant Health customer or just have questions about the insurance company’s products, you may visit their website to submit an online form, or call them toll-free at 800-394-4296. If needed, you can also find the phone numbers for Medco, who administers the Assurant Health pharmacy plan. Assurant Health’s website has the phone numbers to reach the Union Security Insurance, Time Insurance, and John Alden Life Insurance companies for questions on pharmacy locations and home delivery assistance. American Security Insurance does not offer health insurance policies, but Assurant Health does, and they have many from which to choose. Their Major Medical plan has no lifetime benefit caps on doctor visits, hospitalizations and prescriptions, some wellness benefits are paid in full even before you meet your deductible. In addition, you can add a flexible health savings account to your policy. Assurant Health offers a Limited Benefit plan that is more affordable than typical health insurance and has no deductible. The plan also includes network discounts. A Short-term health insurance plan is available for people who find themselves between jobs with no health insurance coverage, or they may be a temporary or seasonal worker with no insurance benefits. The Short-term plan has coverage of up to 180 days. Find more information about Assurant Health’s different health insurance plans on their website, and request an individual quote to determine what plan fits your particular needs. Assurant Health does not have an online claim submission form. Instead, policyholders should refer to the back of their insurance card for claim submission instructions. Customers may also fax their claims to (414) 224-0472. Claims should be submitted for payment as soon as possible. Assurant Health will not pay on a claim received more than 15 months past the billing date. For prescriptions, customers may contact Medco Health or visit their website at www.medcohealth.com and request prescription claim forms. Usually though, the pharmacy will submit the prescription claims and charge you the co-pay you have on your health insurance plan. Claims to Assurant Health are usually process within 3-4 weeks, depending on the completeness of the information submitted. You will receive an Explanation of Benefits in that time period. If Assurant Health needs clarification or more information to process your claim, they will contact you to let you know. If your claim is denied for any reason, you are entitled to file an appeal. American Security Insurance Company’s most recent credit rating from A.M. Best was an “A” for financial strength, which is a designation of Excellent. A.M. Best also gave the company an “a” rating for issuer credit. American Security Insurance has a stable outlook from the credit rating organization. An Internet search finds just a few negative reviews of American Security Insurance Company, although it is not clear, whether this is the same company. There are several negative reviews for Assurant Health Insurance. However, unhappy people tend to write bad reviews and people who are happy with their insurance coverage usually do not blog about it. It is best to research your health insurance company thoroughly before you make a decision for yourself. Start your health insurance research here. Enter your zip code and find health insurance rates to fit your needs.